Today I’ve been trying to remember the world before social media took hold. This shouldn’t have been difficult, considering I pre-date it. And yet it was. I actually struggled to remember how people – myself included – expressed themselves (read also: showed off) to their peers and wider social groups. I’m certain we did use online networks (hazy memories come to mind of painstaking waits for screeching modems to connect, woefully basic Internet chat rooms and a now long-redundant profile on Bebo, the amateur precursor to Facebook), but I can’t honestly remember more than that. Further rumination on this subject has me wondering if we actually cared as much in the ‘old world’ about what people thought of us and how we were perceived. Or was it, in fact, the dawn of the social media age that was responsible for turning a whole generation (and most likely all subsequent generations) into shallow, self-obsessed egotists who would rather spend their leisure time posting photos to make their friends jealous than actually enjoy whatever it is they’re doing? I think the reality is that people – children, adolescents and adults alike – have always and will always have an inherent desire to be liked and to feel part of social groups. Before Twitter and Facebook were invented we flirted with rudimentary forms of social networking to extend our reach into such groups. Before those existed we made do with making friends in ‘real life’ situations. Our need to be accepted and popular was just as great, but we just had smaller social circles. Now that social networks have become stratospheric in their popularity we have grown greedy for more. It’s a natural progression, but a dangerous one. Having hundreds of ‘friends’ on a social networking site can make you feel popular, but if you can count the number who would be there for you no matter what on less than one hand it speaks volumes about the meaning of those ‘friendships,’ and how much homage we should really pay them. 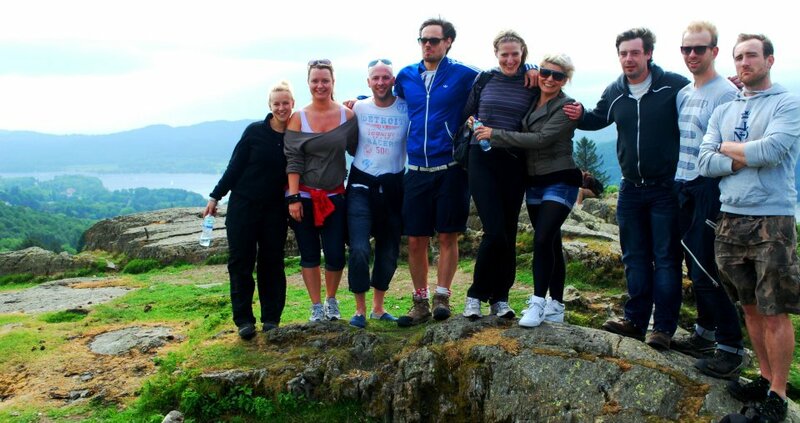 Thinking about friendship groups and the importance of being accepted reminded me of this group photo from a holiday last year in Windermere. We had such a fantastic time and all got on so well – it’s times like those you realise the importance of having REAL friends who are always there, through the good times and the bad. This entry was posted in Uncategorized and tagged acceptance, adolescents, adults, bebo, chat room, children, facebook, friends, groups, modem, social networking, twitter by Belle365. Bookmark the permalink.